Just about any trucker can tell you that the biggest issue with eating right on the road is a lack of reasonable options. After all, even with the health food revolution that has taken place in recent years, better eating options haven't reached all - or even most - truck stops across the U.S., instead providing the same old deep-fried, fatty options. Fries are a staple of many truck stop meals and for good reason: They're delicious. But they're also unhealthy, so it's best to avoid them when you have other options, according to Truck News. Some fast food chains give you the chance to swap out the fries in your value meal for healthier choices like apple slices or a side salad, and it's wise to take advantage . 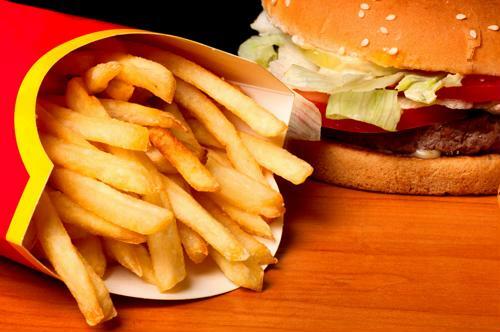 You can still indulge in fries every once in a while, but if you want to avoid negative health outcomes, it's always a good idea to mix it up more often than not. Much like fries, carbs in bread are a big issue for many truckers, because sandwiches are such a prevalent option at most rest stops, Truck News added. That said, finding ways to cut out the bread - by making your sub into a salad, with lettuce wrap instead of buns - is a great way to cut your carb intake, especially if you're also eating proteins that are breaded and fried, like chicken sandwiches. If you're looking for a quick, easy and nutritious meal but only see a lot of unhealthy fast foods available, it might be wise to head to the convenience store, according to JB Hunt. There, you will likely find some rather common breakfast options like yogurt, granola, oatmeal and so on, that will hit the spot at just about any time of day while also being quite healthy. Many people looking to eat healthy think they're doing the right thing by having a salad in lieu of a more traditional truck stop meal, according to CDL Life. However, if they go heavy on the dressing, even a "light" option, they may be undoing all the good they intended to do in the first place. Some experts recommend keeping salad and dressing separate, and then dipping your fork in the dressing before picking up any produce with it. It can't be said enough that the emptiest calories out there come in soda. Even diet soda isn't as healthy for you as it might seem. Instead, relying on seltzer, fruit juice, tea or coffee for the beverage with your meal is always a better idea.